Boiler replacement is an expensive endeavour, so it is imperative that you choose the best replacement for your home. Each individual’s requirements will be different depending on the size of your home and your heating needs. There are five key things to bear in mind when it comes to boiler replacement.These are fuel type, boiler type, boiler efficiency, boiler manufacturer and heating controls. Most homes in the UK have a heating system which uses a gas boiler. However, over four million homes are not connected to the UK’s gas network. These homes have alternative options such as an LPG boiler, an oil boiler or a wood burning stove which is fitted with a back boiler. There are two main types of boiler. There is the combination boiler which heats your water and your radiators. Or there is the heat only boiler which has to be connected to a hot water storage system. If you are unsure which type is the most suitable for you, consult a professional installer for advice. Boilers used for gas central heating will account for approximately 60% of your home’s carbon emissions. For this reason boiler efficiency is vital as it can cut down the price of your energy bills and your carbon footprint. There are a number of different boiler manufacturers. It can be hard to choose which one to opt for, so it may be helpful to check out consumer advice and reviews for more information on the different brands and how they measure up against each other. Heating controls help you to manage you heating costs and usage. 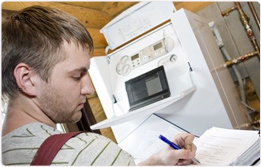 Therefore, during boiler replacement London is the optimum time to install a heating control system in your home.